Nationwide Industries Cornerstone Fully Adjustable Self-Closing Nylon Hinges for Vinyl Gates | Hoover Fence Co. The Cornerstone® Fully Adjustable Self-Closing Nylon Hinges feature the durability of glass-filled nylon along with high quality manufacturing and design. 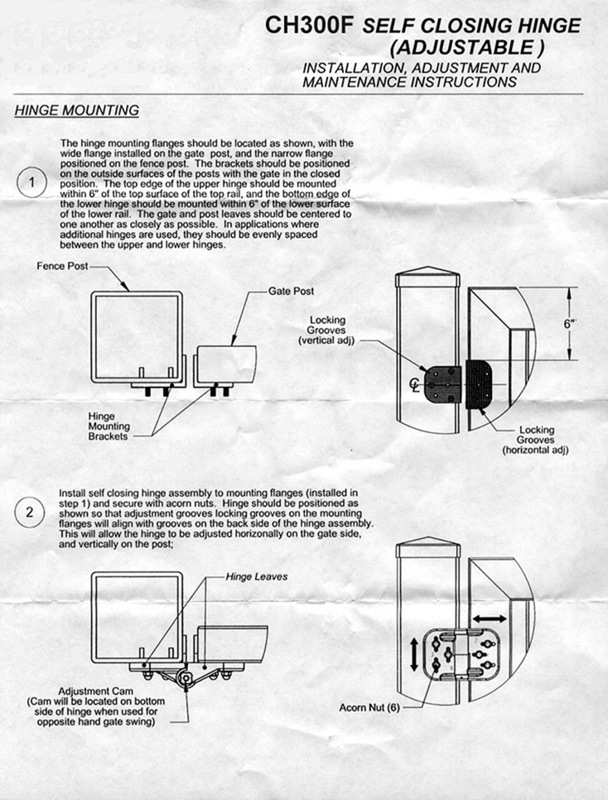 All of this makes the Cornerstone® an ideal choice when you are searching for a very strong, easy-to-install and cost-effective self-closing hinge. With a variety of options available, you will be assured that you have the right hardware for the right application. Ideal for Wide Gate Frames, fits Square Profiles. Glass-filled nylon construction for superior strength, durability and low maintenance. 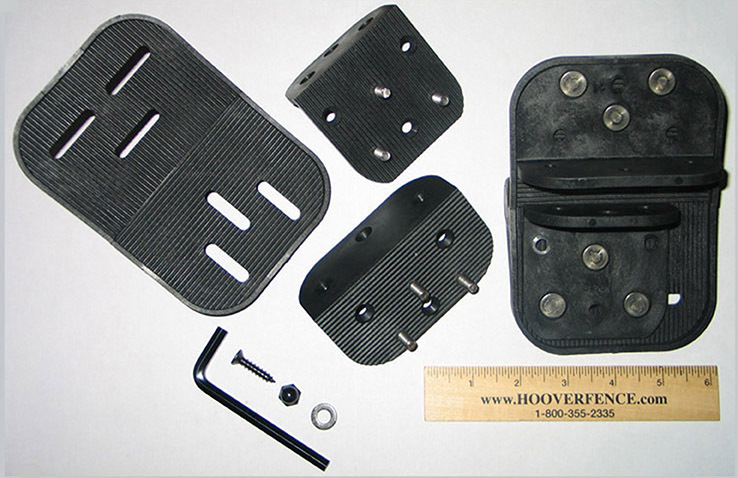 Back plates allow horizontal (5/8") and vertical (1") adjustability. Both flanges: 4.25"(H) x 2.88"(W) x 1.50"(D). Adjustable for gaps from 3/8" to 1". 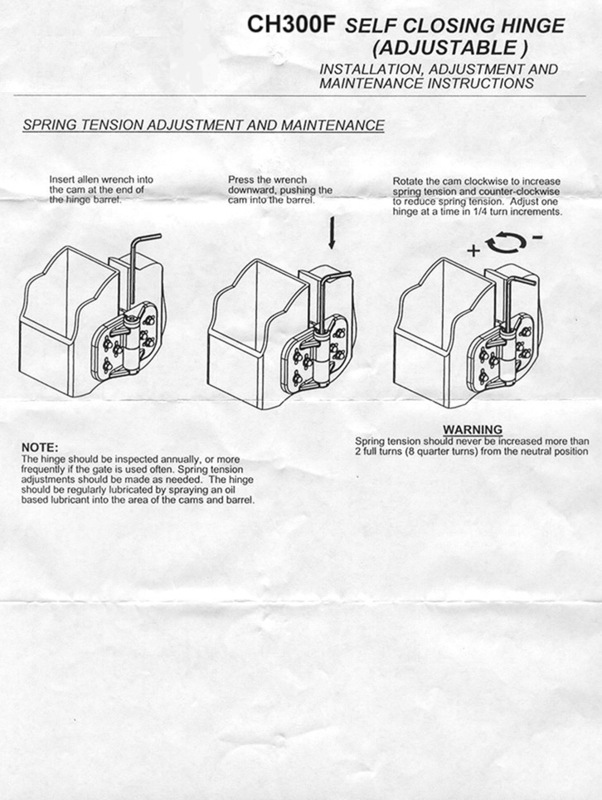 Very convenient spring tension adjustment, just push down and turn (Allen tool included). Point-Load Tested to 1500 lbs per pair. Cornerstone springs tested to 1 million weighted cycles on 6' x 4' 75 lb privacy gate.